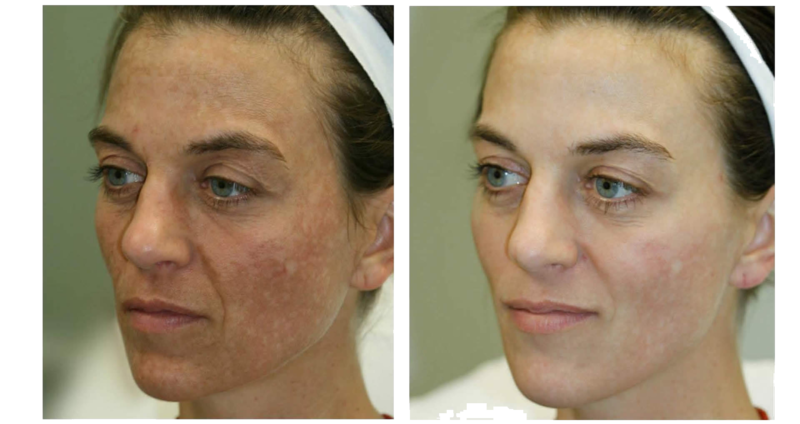 Intense Pulsed Light (IPL) and 532nm Laser Peel treatments dramatically rejuvenate the complexion to give you younger, healthier skin. 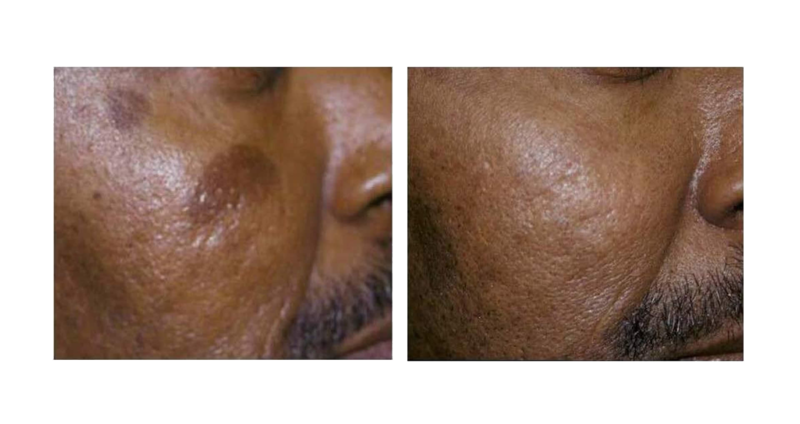 IPL treats sun damage and unsightly veins to improve your appearance while 532nm Laser Peel stimulates collagen remodeling at the dermal level to improve overall skin texture and also removes unwanted pigment at the same time. 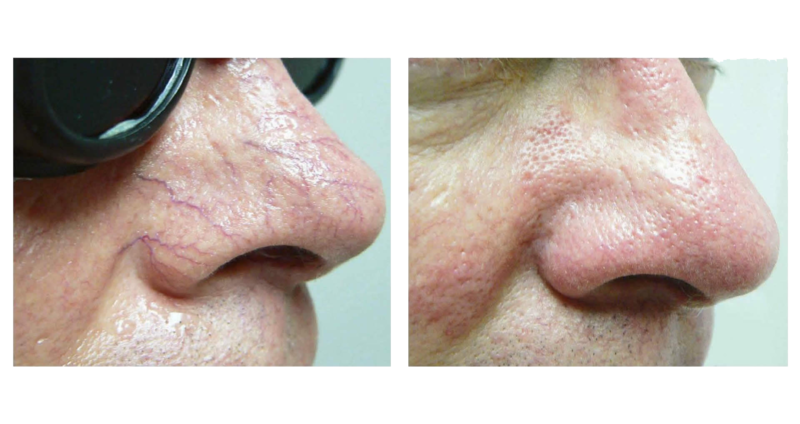 IR tightening is a procedure that uses infrared light to remodel collagen, causing skin to regain it’s firmness and smooth appearance. 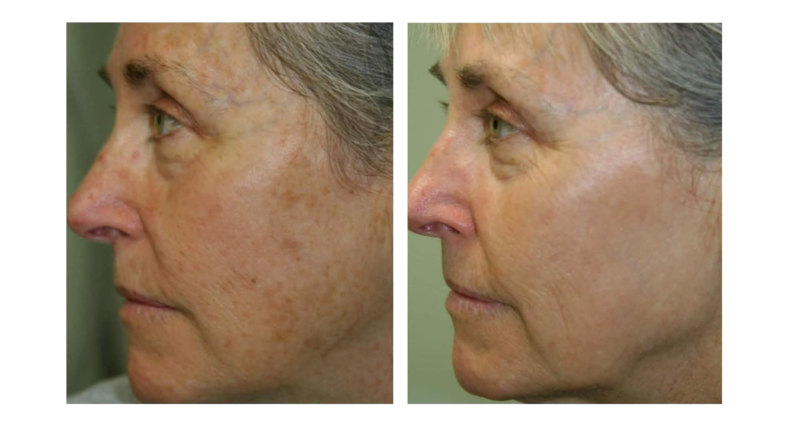 Also popularly known as Photopeel or Photofacial, IPL treatments rejuvenate the complexion and reduce the effects of sun-damage giving you smoother, younger, and healthier-looking skin. What specifically does it treat? 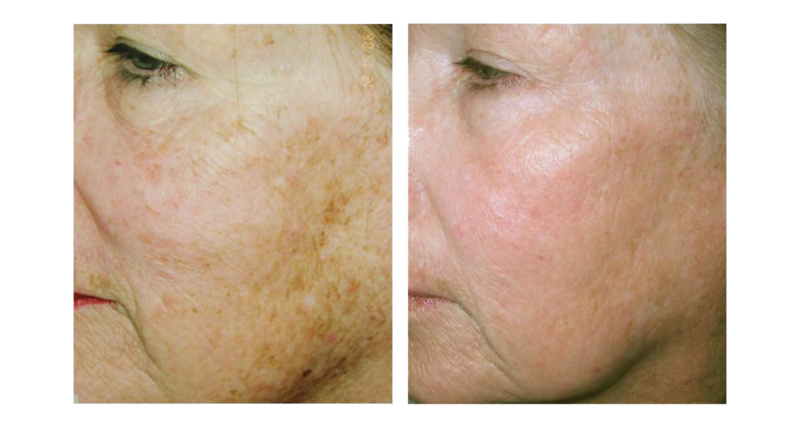 IPL treats age spots, uneven pigmentation, broken capillaries, facial veins, flushing, and rosacea. It also reduces pore size and improves skin tone. 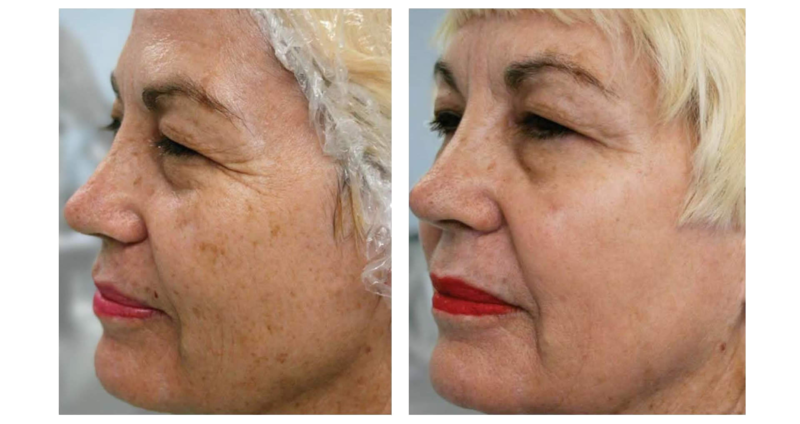 IPL has been FDA-approved as safe and effective for over thirteen years. How long do treatments take and does it hurt? 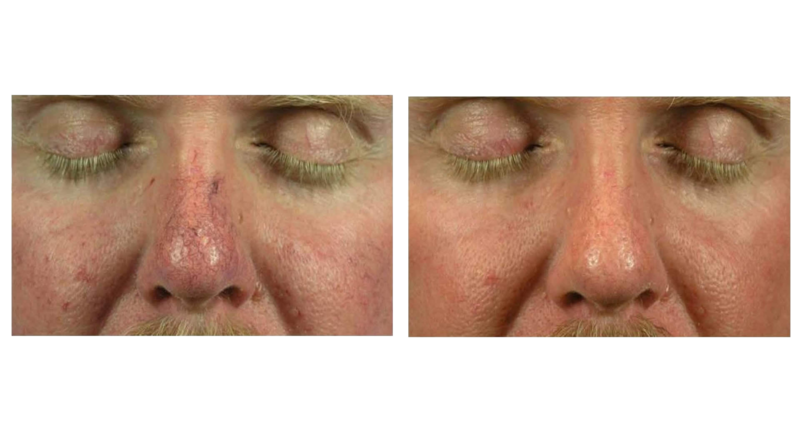 Each treatment takes about 15-30 minutes with minimal to no discomfort. The face, neck, chest, shoulders, hands, and legs can all be safely treated. Immediately after treatment, you can expect a mild sunburn-like sensation which typically resolves within a day. Any minor discomfort can be alleviated by an ice pack. 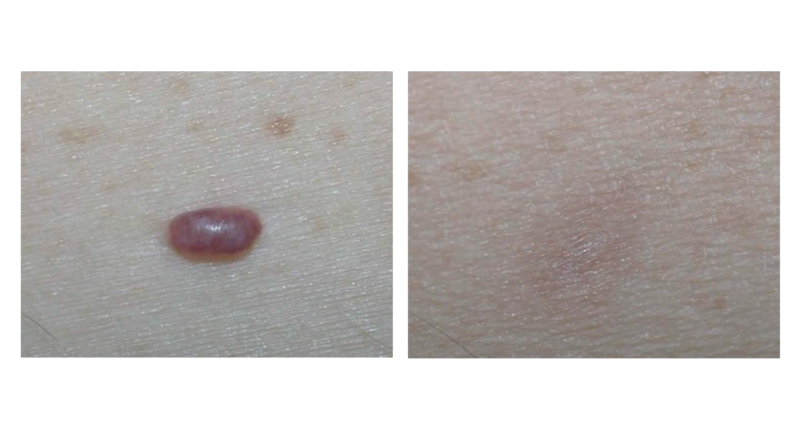 Sunspots/Sun Damage: The sunspots will darken after treatment and flake off the skin within 1-2 weeks. 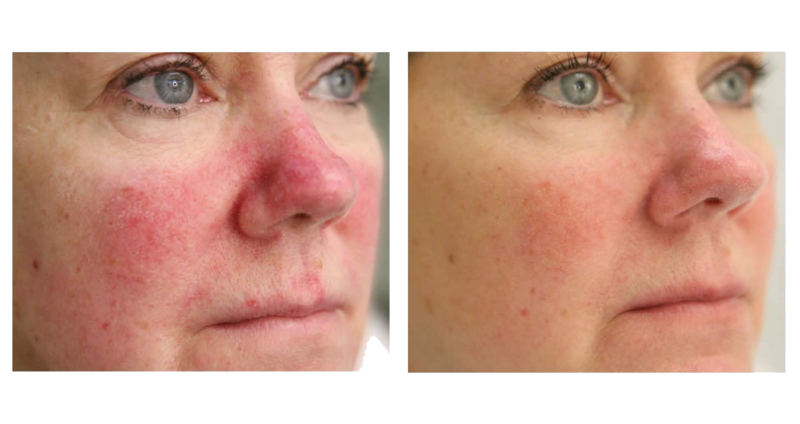 Rosacea: Skin tone will have less redness within a week after treatment. 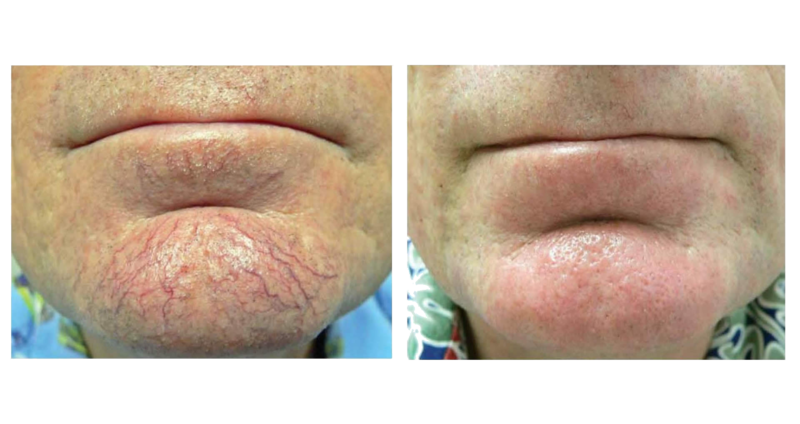 Spider Veins: Vessels may disappear after treatment or fade after 10-14 days. Does it hurt? How long does the treatment take? Some discomfort may be experienced during this procedure. An aesthetic numbing cream is used to help you have a comfortable experience. Treatments are typically completed in 45 minutes. 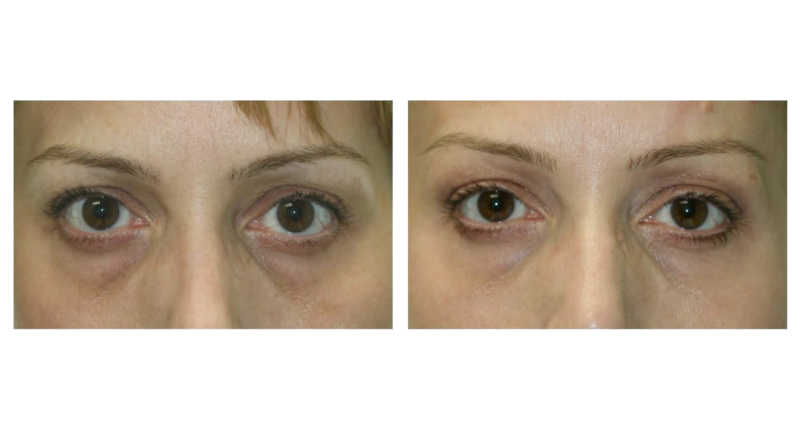 One treatment is what most patients require for dramatic results. Occasionally, a second treatment may be recommended for a more thorough clean-up. Treatment is recommended annually to maintain results.What should I expect after treatment?Immediately after treatment, the skin may feel warm or sunburned and temporary redness may occur which typically resolves in 2 to 3 days. 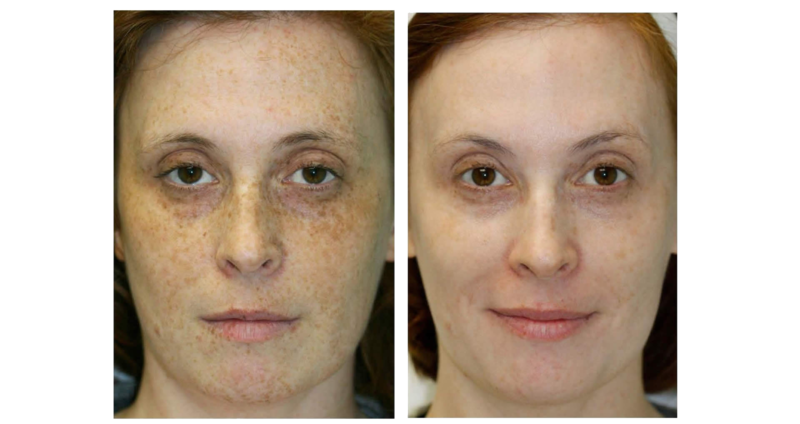 Pigmented areas get darker and flake off over 1 to 2 weeks. Avoid picking, scratching or removing flakes. We also recommend that you use a sunscreen with SPF 30 or greater and avoid excessive sun exposure to treatment area during this time. 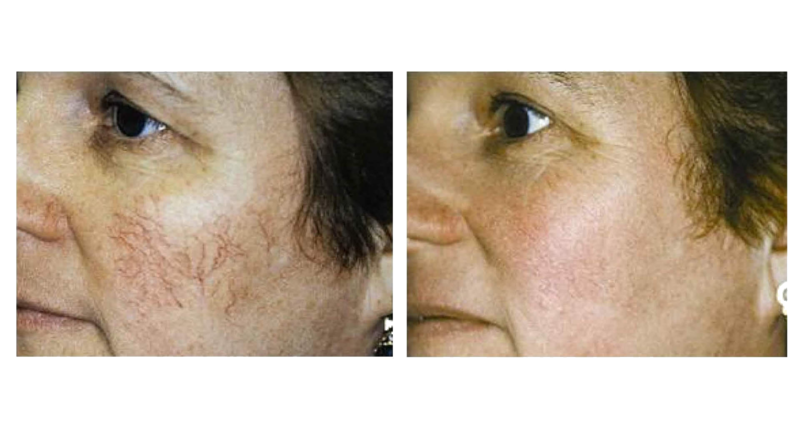 Gradual pigment lightening may also occur for one month or so after treatment. 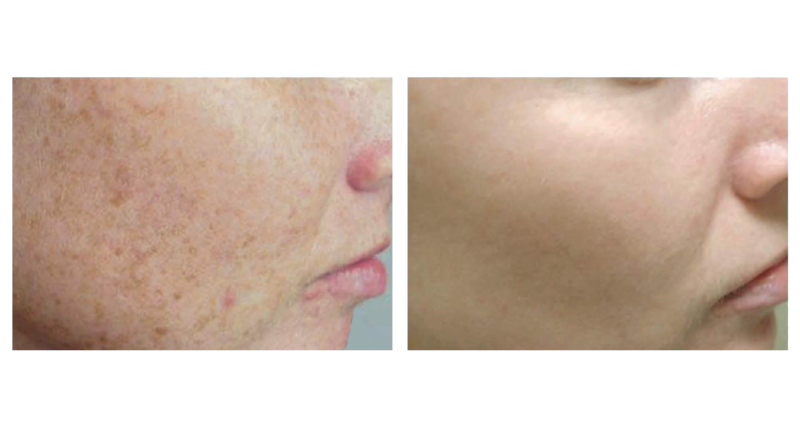 While this procedure is called a Laser Peel, the skin rarely peels. Any residual discomfort may be alleviated by ice pack. Gentle non-active topical products can be applied if any irritation occurs. 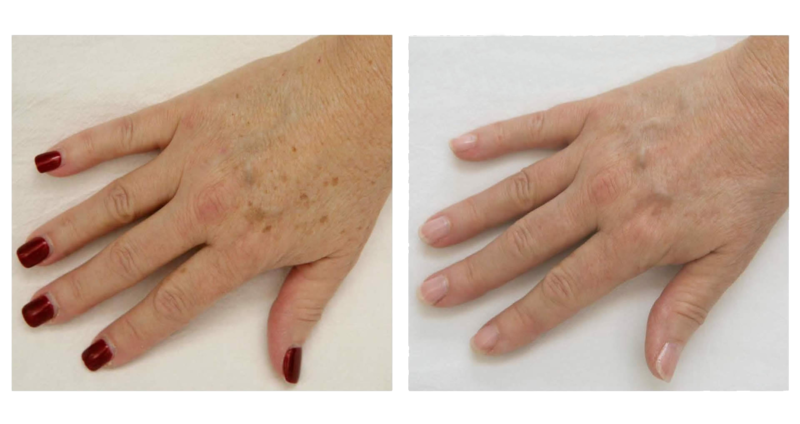 The Palomar LuxIR Fractional Infrared hand piece delivers infrared light deep into the dermis. This light causes soft tissue to coagulate, which leads to remodeling of the collagen and an overall tightening of the skin. What makes this treatment different from others? Rather than using one large beam to deliver light into the skin, this approach uses a “fractional” method that distributes the light into small beams. This leaves unaffected areas surrounding treated skin which is more effective in stimulating collagen and the healing process. Are treatments safe? Are they painful? This treatment is much safer than other approaches and more comfortable. More of the skin is left untouched and therefore there is lesshealing to do. The LuxIR uses a 3 stage cooling process, cooling skin before during and after each light pulse. You may experience lingering warmth, tightness, or redness in the treated area, which fades within a few hours after treatment. Most people can get this procedure done and return to work or other daily activities. 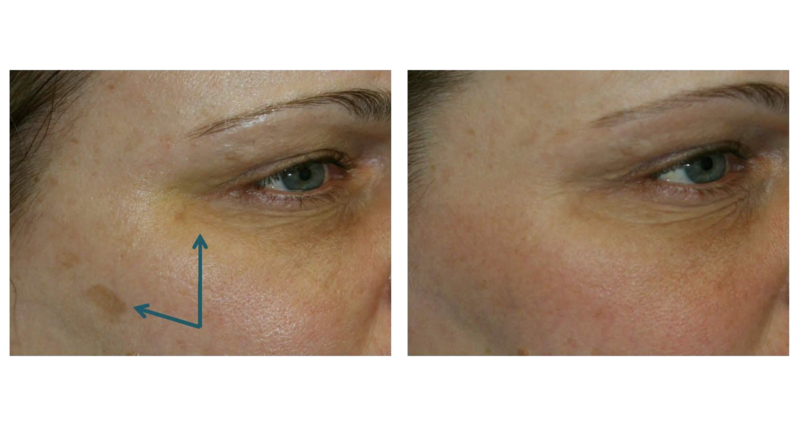 A series of treatments 3 to 6 weeks apart may be required to achieve the desired result.